Description This Roswell, Georgia hotel has non-smoking guest rooms and free breakfast. This hotel is also pet friendly. 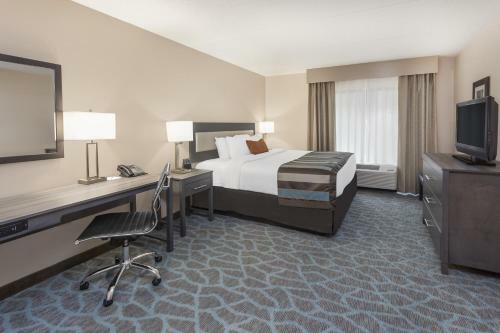 Free Wi-Fi breakfast manager's receptions and parking a location convenient to area attractions and a 24-hour business center await our guests at the non-smoking Wingate by Wyndham - Alpharetta. This four-floor property has 84 rooms. 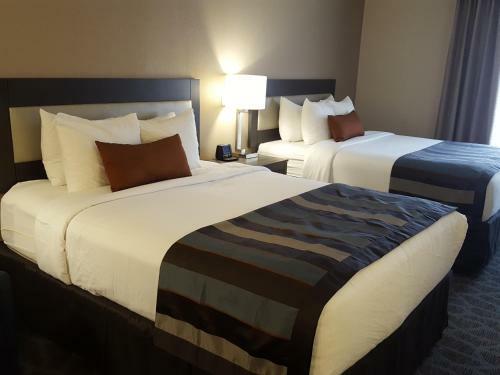 All accommodations include complimentary Wi-Fi and wired internet access microwaves refrigerators flat-panel cable TVs work desks with dual-line phones and sofa beds. In the morning guests can gear up for the day with a free newspaper and breakfast buffet that features plenty of hot and cold items. In the evenings every Monday through Wednesday a manager's reception provides beverages and snacks on the house. 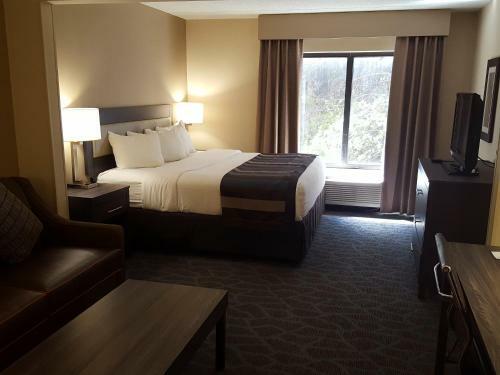 The hotel also has a 24-hour business center with copy and fax services laundry facility fitness facility and hot tub. There is a free shuttle to destinations within five miles of the property. Pets are welcome. 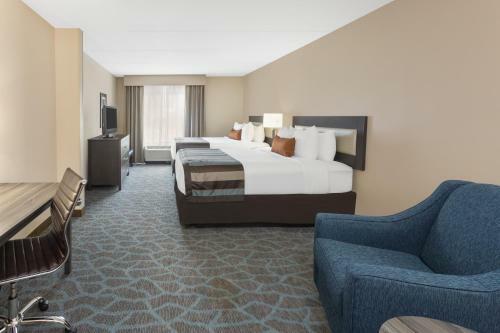 Wingate by Wyndham is situated southwest of the center of Alpharetta two miles from North Point Mall and Verizon Wireless Amphitheatre. Downtown Atlanta is a half-hour drive and Hartsfield-Jackson Atlanta International Airport is 33 miles away. 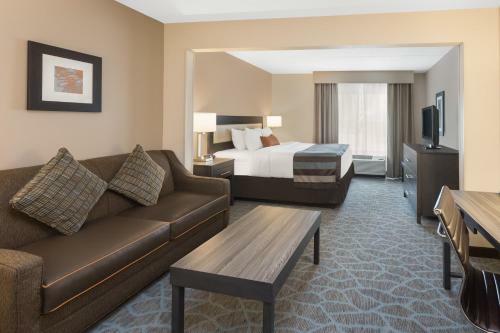 Add Wingate By Wyndham - Alpharetta to your free online travel itinerary.